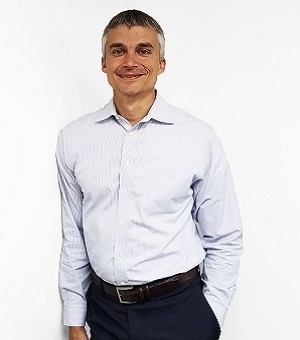 Ron Warman is a perfect fit for our Document Management Team. Ron brings over 15 years of experience working with document management solutions and the uncanny ability to help clients select and implement the solution that’s perfect for them, their daily challenges and future growth. Collaborating with clients and co-workers while calmly thinking through solutions logically and with patience makes Ron, an Affinity Partner, one of our Affinity Rock Stars! With three kids, one cat named Carter and the occasional fish tank, Ron and his wife don’t get much time to themselves. They spend most of their time at kids’ soccer games and swimming, but when they do get the chance you’ll find them grilling out or dancing the night away.